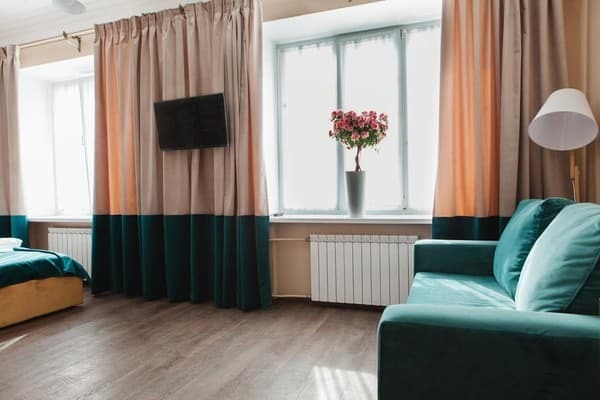 Mini-hotel Live.Here.Hotel is located in the Shevchenko district, 700 meters from the central street of Kiev - Khreshchatyk. 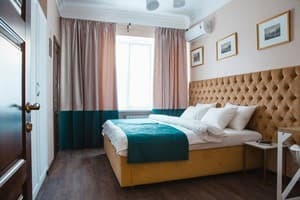 All rooms of the mini-hotel are equipped with everything necessary for comfortable living: air conditioning, coffee machine, kettle and flat-screen TV. Bathrobes, slippers and free toiletries are provided in the bathroom. 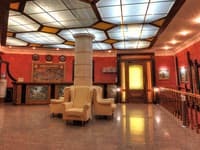 Free Wi-Fi is available throughout the mini hotel "Live.Here.Hotel". The price includes breakfast. The nearest restaurants and bars are within walking distance. There is a souvenir shop at the mini-hotel. Zhulyany Airport is 7 km away. Central Railway Station is 3.5 km away, the bus station is 6.7 km from the hotel. 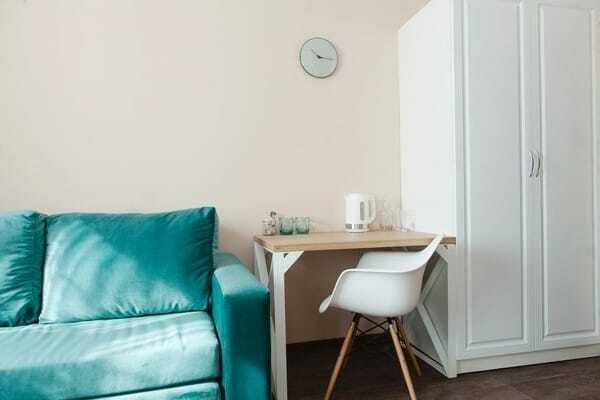 Description of the room: Double room with double bed + sofa. 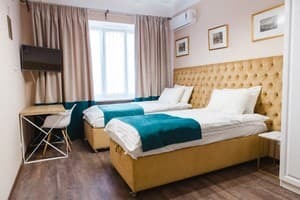 Description of the room: Double room with one big bed or two twin beds. 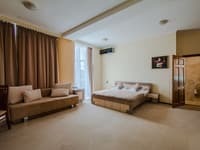 Description of the room: Double room with one bed or two twin. The price includes breakfast. The nearest restaurants and bars are within walking distance. 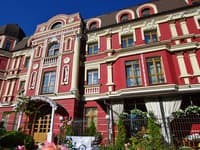 Mini-hotel Live.Here.Hotel is located in Shevchenkivskyi district, 700 m from the central street of Kiev-Khreshchatyk. 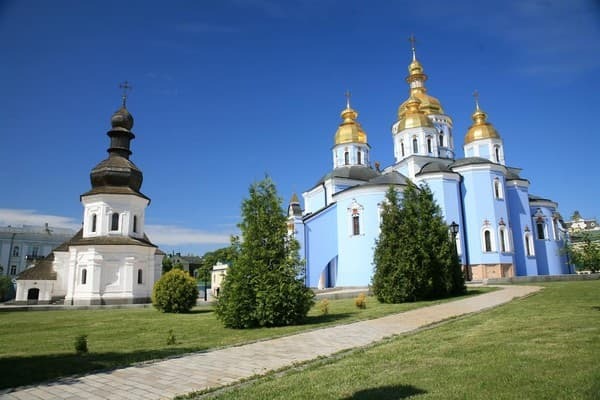 The distance to Zhulyany airport is 7 km. Central Railway Station is 3.5 km away, Bus station is 6.7 km from the hotel. From railway station, from metro station "Vokzalna" 3 stations to metro station Khreshchatyk. Then walk along the street. 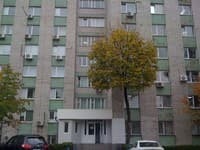 Malaya Zhitomirskaya 15 min. 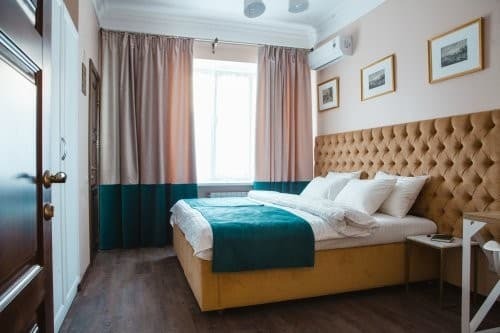 Walk, turn right to the Mikhailovsky Lane, where there is a mini-hotel.